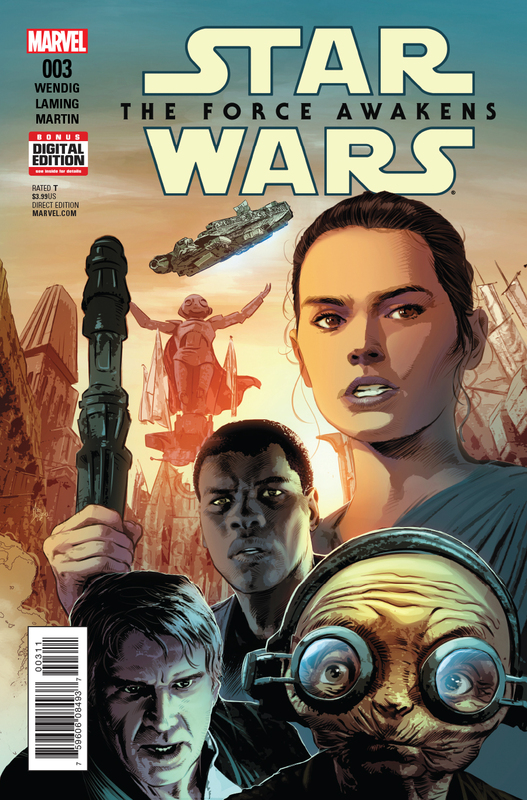 Charles Soule and Phil Noto craft a droid fight sequence to remember, we preview this week's Star Wars comics, and more! 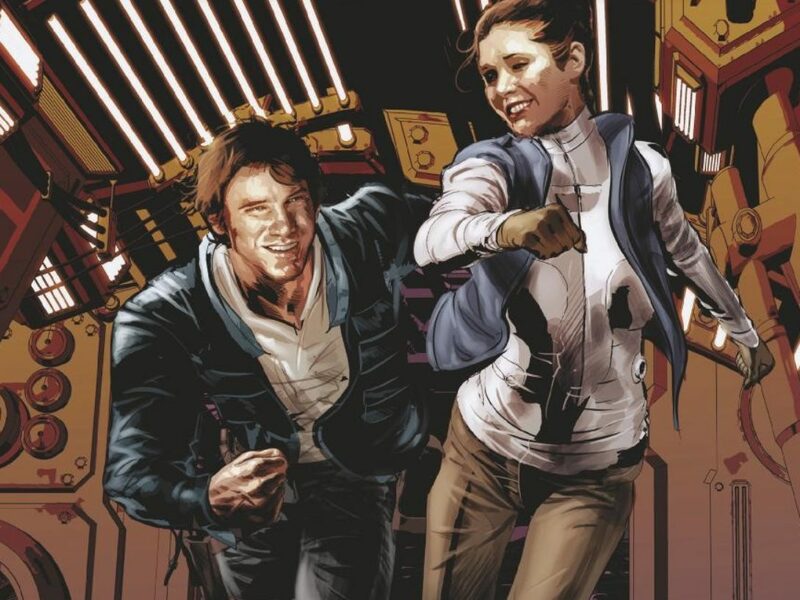 Comic book readers across the galaxy: rejoice as we made it to another Wednesday! 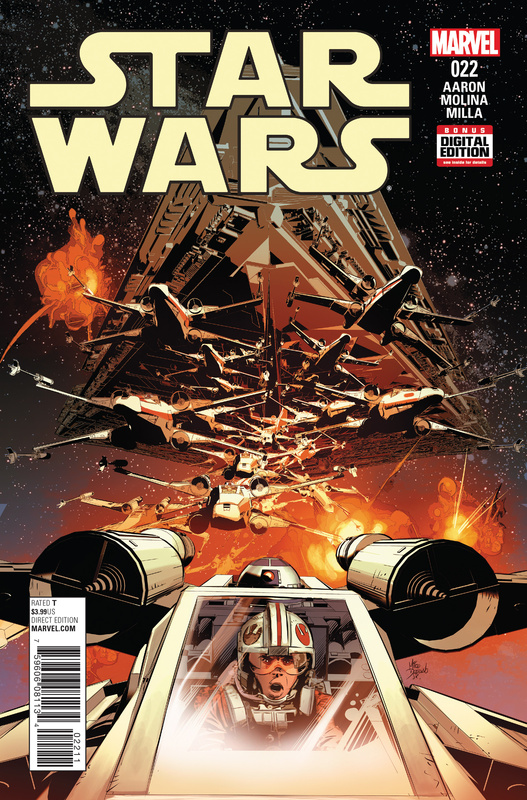 This week, Comic Book Galaxy looks at the week that was with Poe Dameron #5, gets ready for issue #3 of the comic book adaptation of Star Wars: The Force Awakens, and prepares for more mayhem with Scar Squadron in issue # 22 of Star Wars. 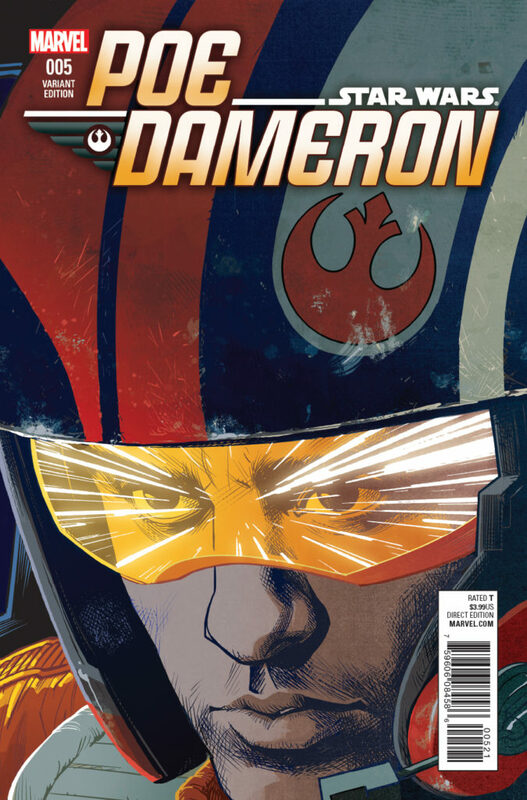 Plus, an examination of Charles Soule and Phil Noto’s brilliant droid storytelling in Poe Dameron #5. 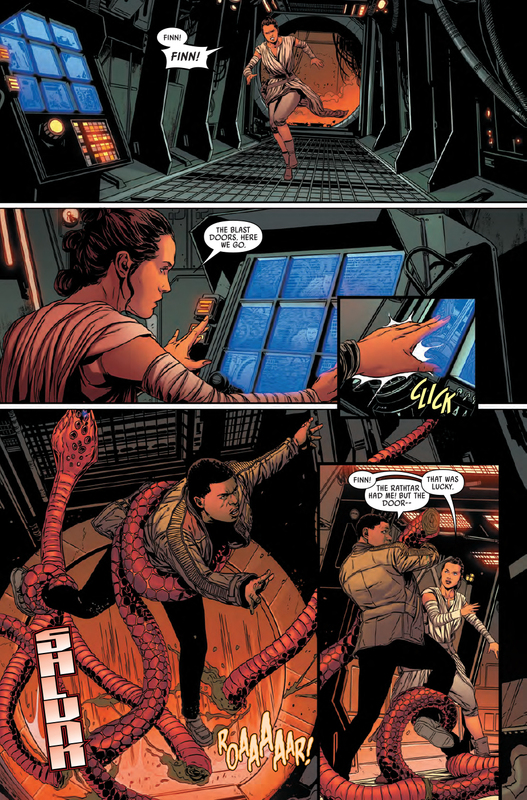 Poe and Agent Terrex both have the same agenda, but very different ways of executing their plans (and for Agent Terrex, that pun was intended). One plans to stick to his word, and one doesn’t. You can probably guess who falls into which category. 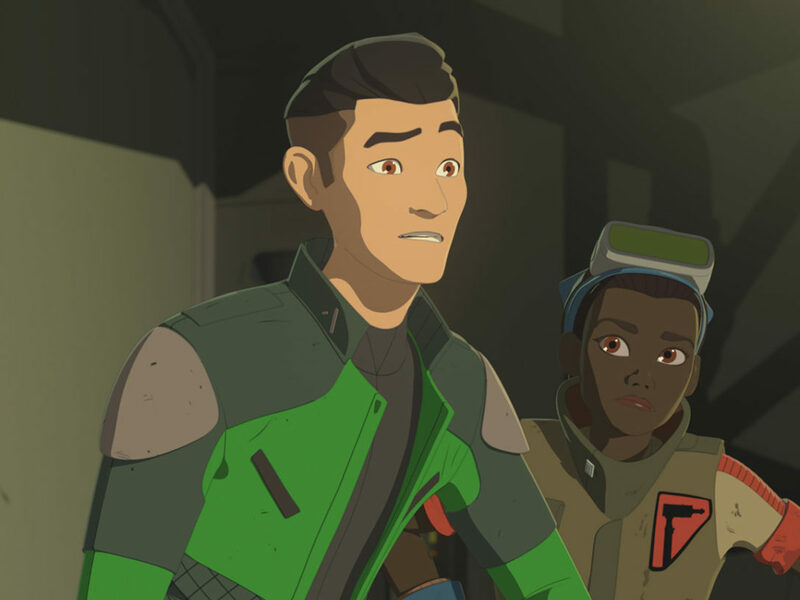 Poe sends a group of astromechs on the station above the planet in order to help Poe and Grakkus escape. 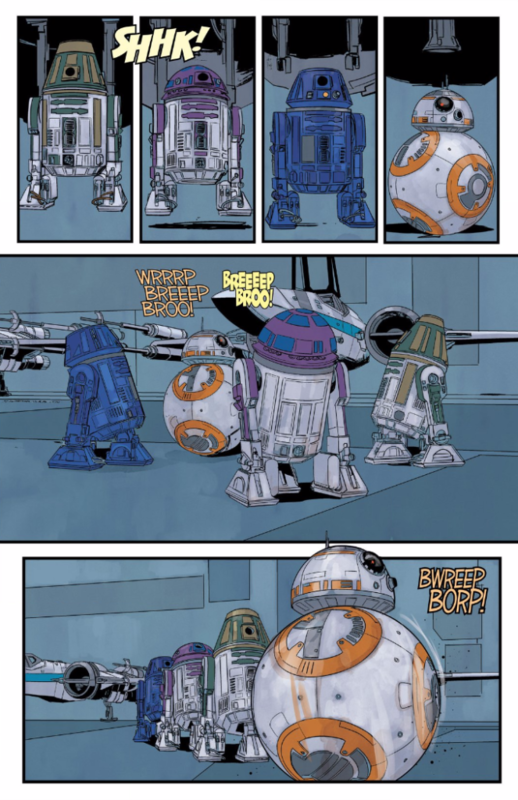 Bonus: BB-8 and his companions open up a can of droid kung fu! Terrex, however, simply wants to gather the prisoners together and kill everyone, including Grakkus. 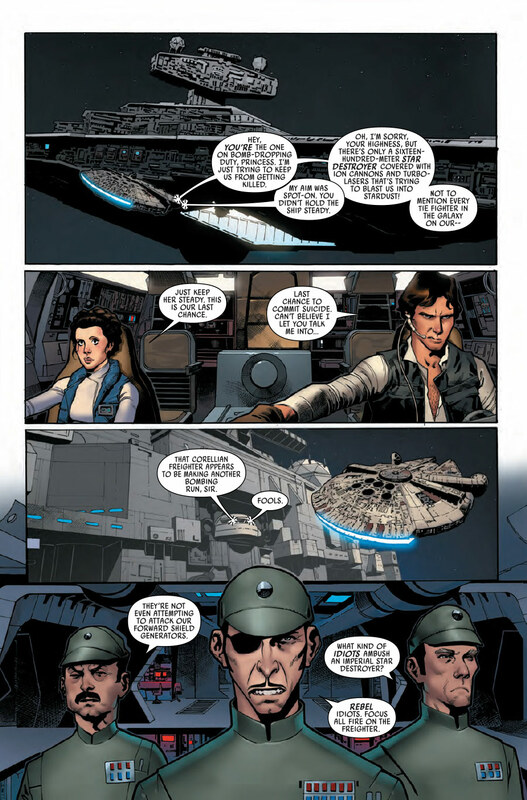 This basically seals the deal: Terrex is not getting a Christmas card from Grakkus. 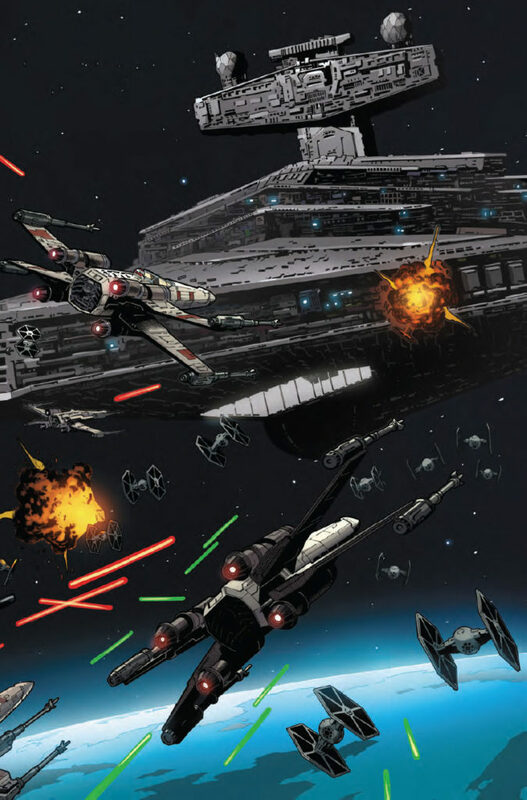 Issue #21 introduced a new threat to the Rebel Alliance in the form of Scar Squadron. 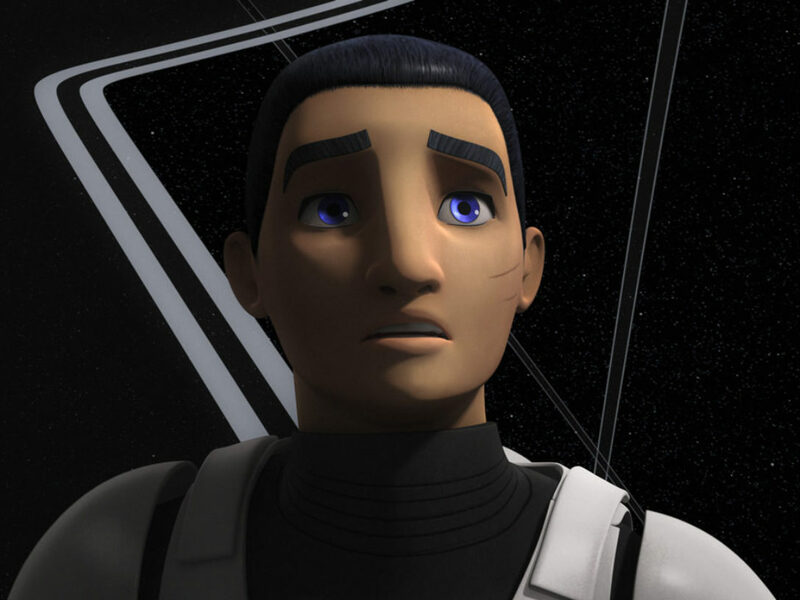 Sergeant Kreel is the leader of this fearsome bunch of stromtroopers, and is not to be taken lightly. 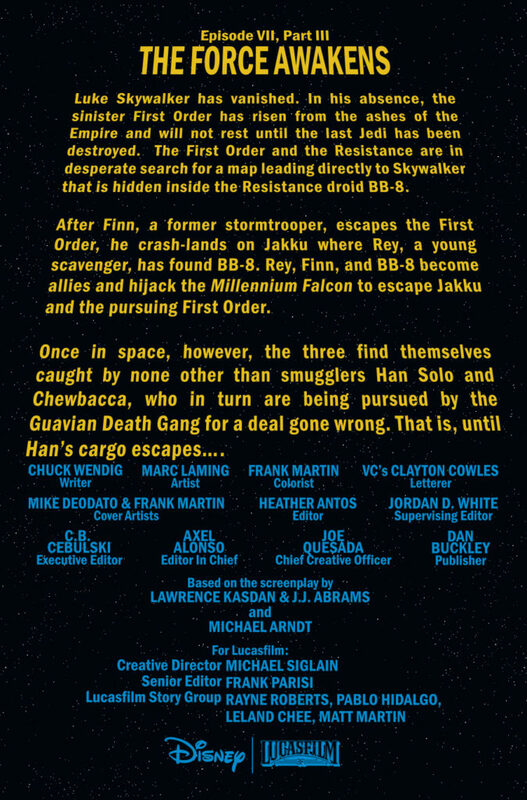 And it’s time for this group to cause some major problems for Luke Skywalker and company. Can’t this former farm boy catch a break? Not likely. 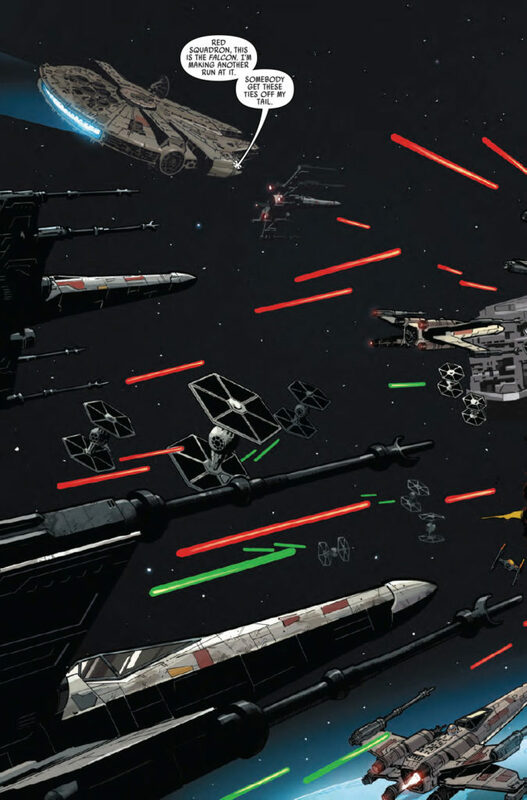 The epic comic book version of the blockbuster film continues! 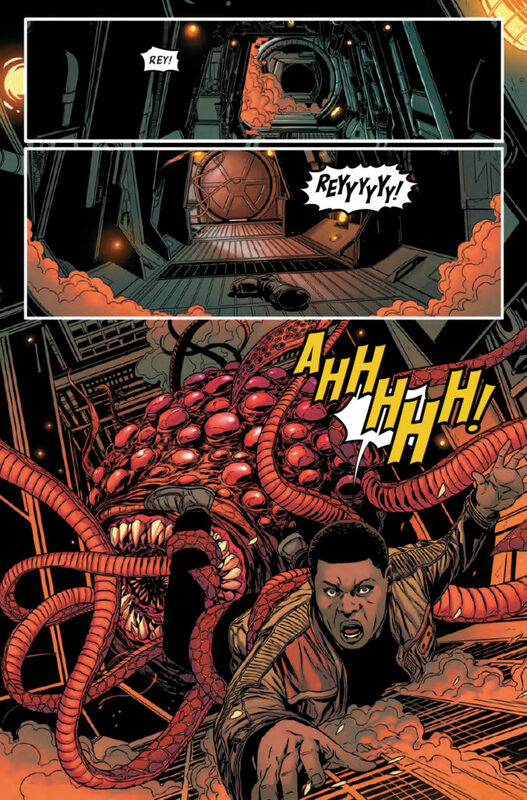 Issue #2 left our hero, Finn, in the tentacles of a fearsome rathtar, with a horrified Rey looking on. 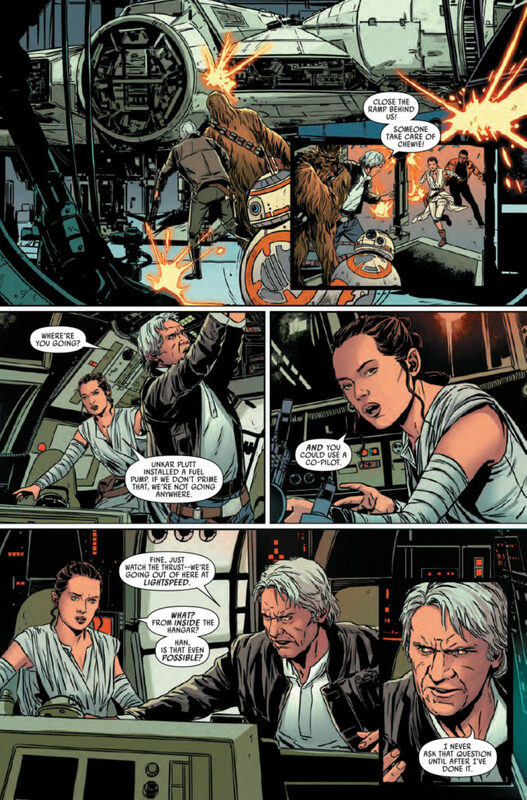 We know Rey will be more than up to the task, but what is it going to look like in the hands of Luke Ross’ pencils? 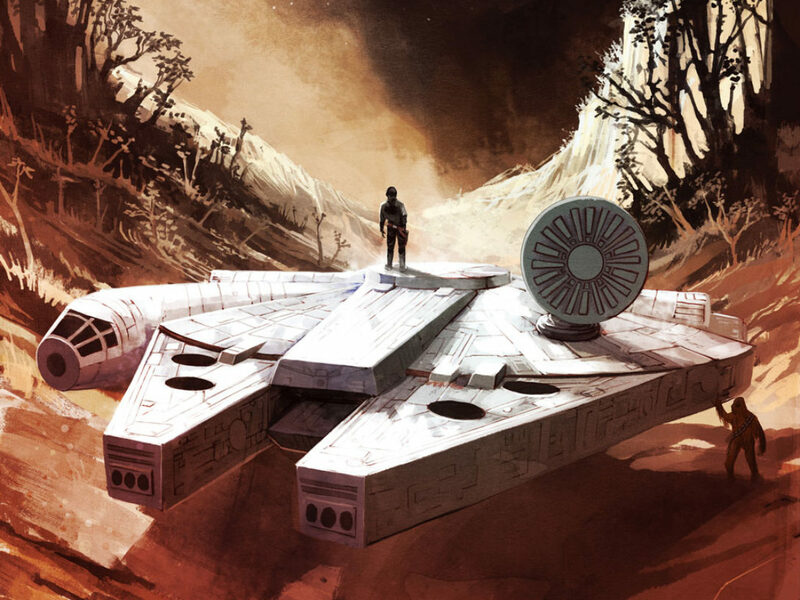 Here’s an exclusive for you: it’s awesome. And just wait until you see the cover. 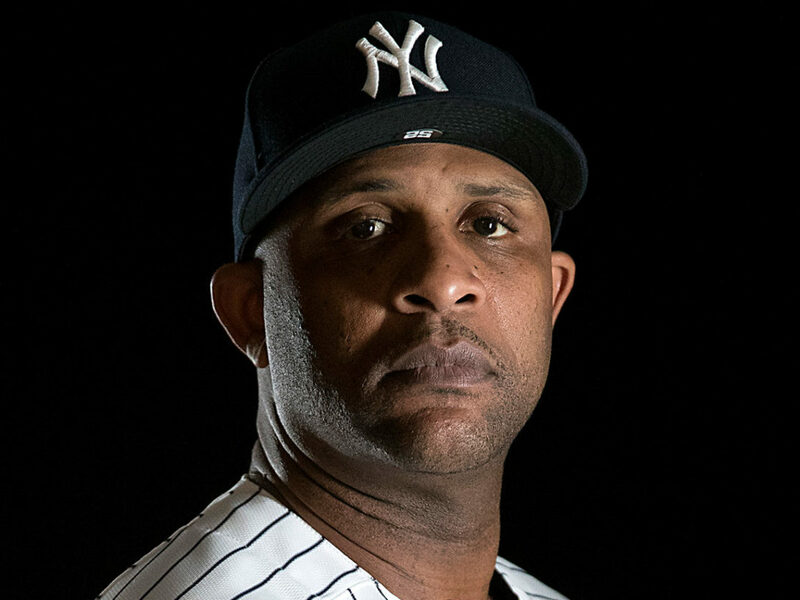 It’s another stunning portrait of the major players in this issue and, oh yeah, here comes Maz. 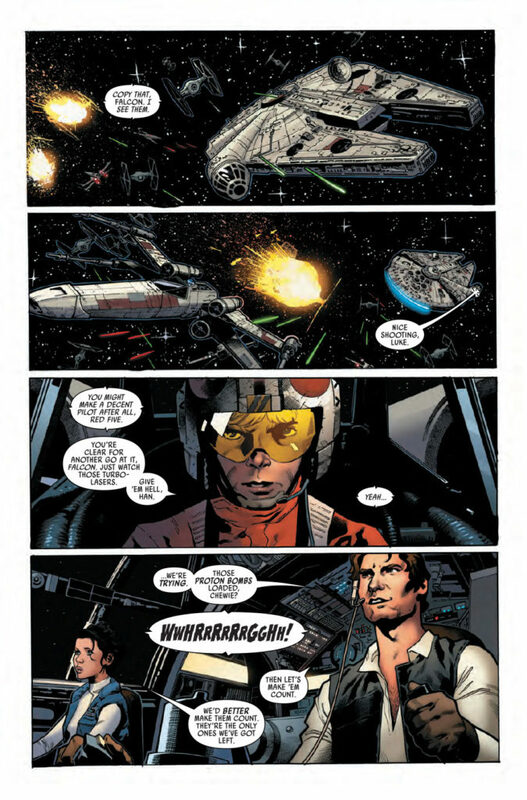 Word Balloon: Droid power in Poe Dameron #5! 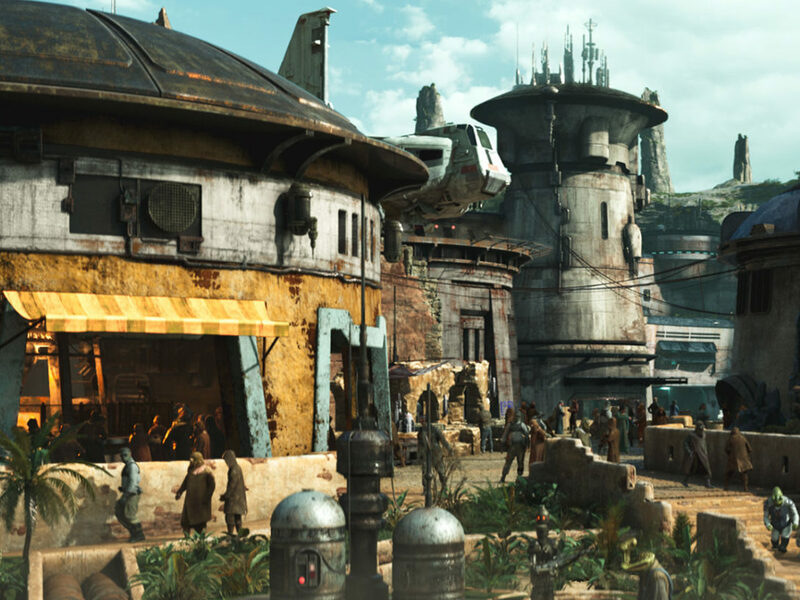 Anytime we’re privy to additional droid adventures, it’s a good thing. 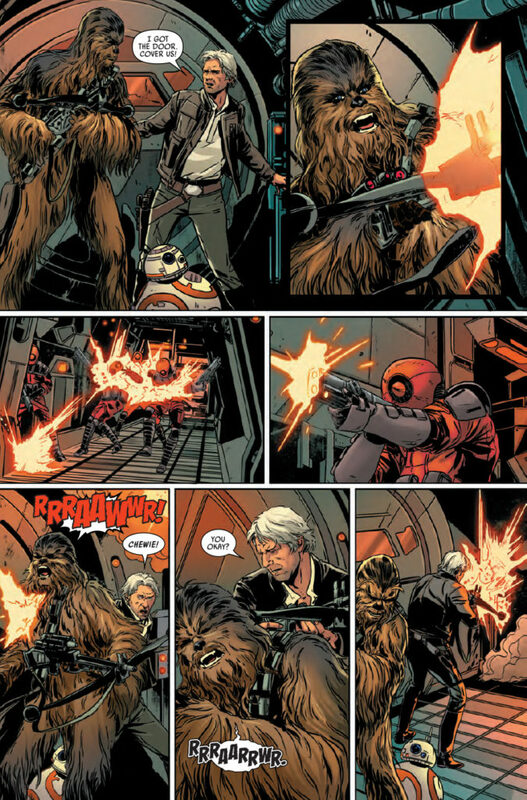 And Poe Dameron #5 gives us droid action in spades, as we get more of the gregarious BB-8 and meet some of his compatriots. 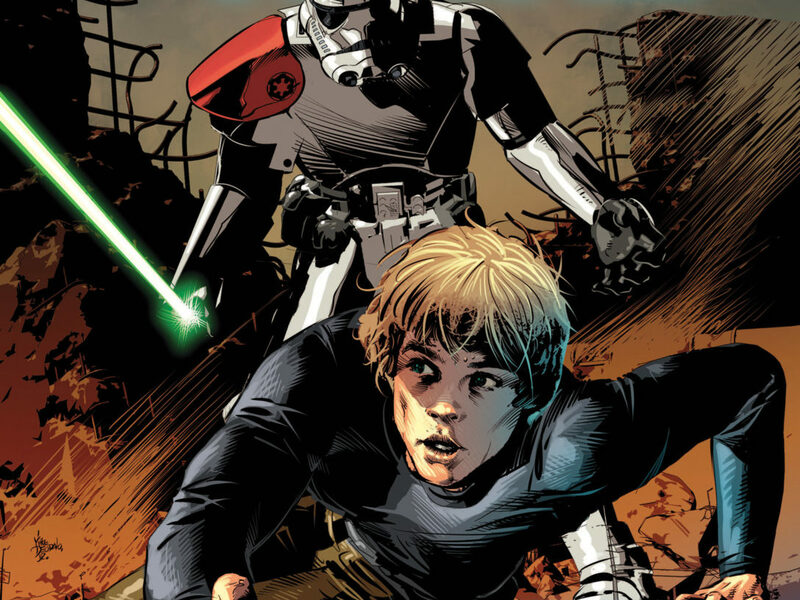 He leads a ragtag team of droids to help rescue Poe by invading the station above Megalox Beta. The way this sequence plays out is as funny as it is smart. 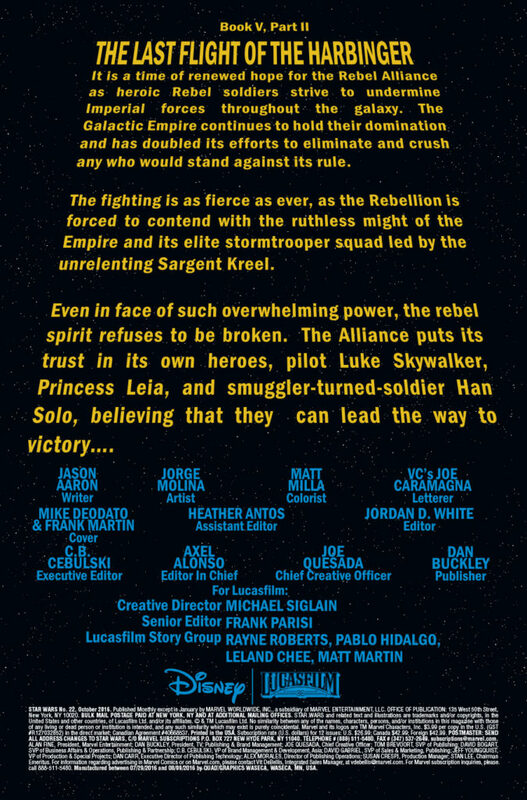 The first thing that stands out is the use of droid language. 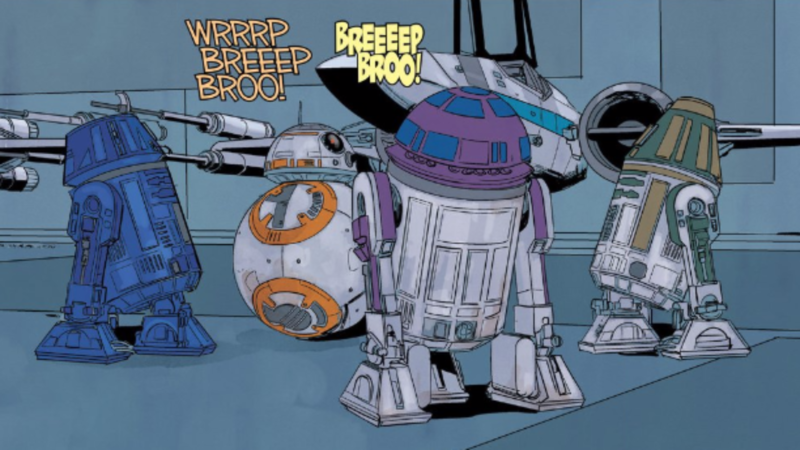 Beeps and boops convey meaning (easily the weirdest sentence I’ve ever written, BTW). We know that Charles Soule has the actual dialogue planned out, which helps direct the focus of the story, but it’s obviously important for the reader to know the message, too. You don’t want to lose the reader, and want to keep the narrative moving along. 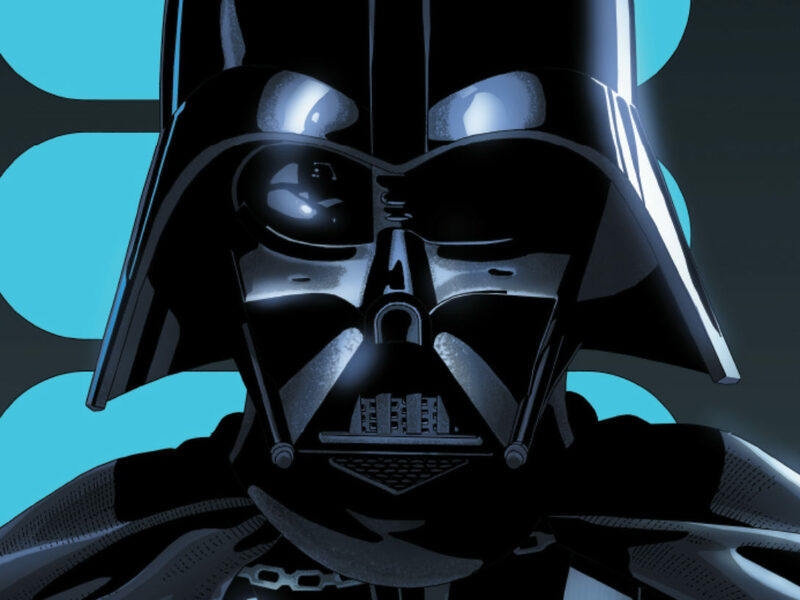 Herein lies Soule and Phil Noto’s storytelling brilliance in this sequence. Even though we don’t know the words, we are able to understand the tone and vibe of the emotion present. 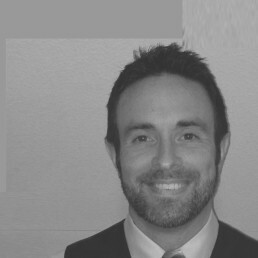 Even the background blue color creates an atmosphere that is easy to read. And perhaps the coolest part of all: the fight sequence! In the middle of the issue, a blue R5 astromech hovers above some of the station’s cronies, and its boosters fail. 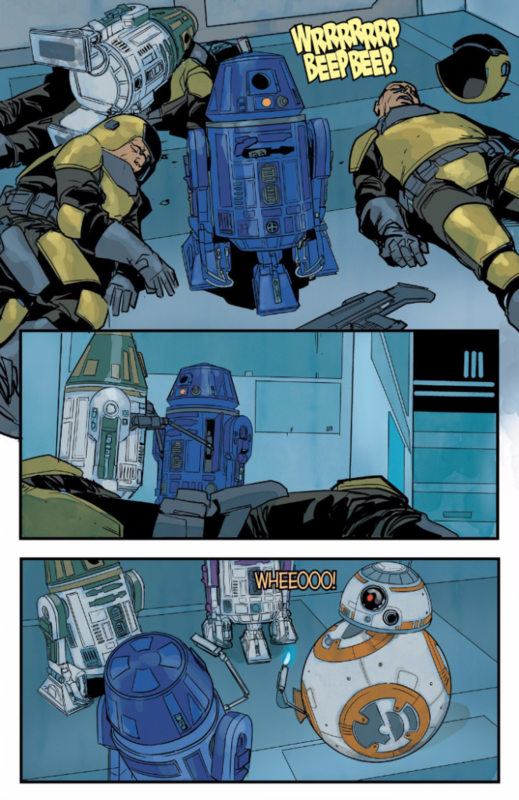 What happens as a result of this is the stuff of droid legend. As the droid falls, its appendages are unleashed, and the droid even emits what appears to be some sort of vocal burst of excitement. It’s definitely a call to arms, as the R5 unit punctuates the fight scene with a boot to the head that’s sure to leave a mark. Cry havoc, and let slip the dogs of war indeed. It’s all conveyed through onomatopoeia and great art. I guess what I’m trying to say is, these panels are amazing. The whole thing is clever, smart, and highly entertaining. It even gets thumbs up from BB-8, which is always a good thing. How epic was this sequence for you? Let us know in the comments below!